Want to make a big bet on an economic recovery in the U.S.? Start thinking small! The growing popularity of penny stocks can be attributed to a combination of increased understanding and tough economic times.? ?Penny Stocks For Dummies explains the basics of penny stocks and provides expert guidance to help you get involved right away. Penny Stocks For Dummies provides you with the information and advice you need before considering an investment in penny stocks, as well as the tools needed to make sound investments. You'll also get expert guidance on identifying growth trends and market sectors positioned for rapid growth, finding undiscovered penny stocks, and understanding the fundamentals of a potential investment in penny stocks. 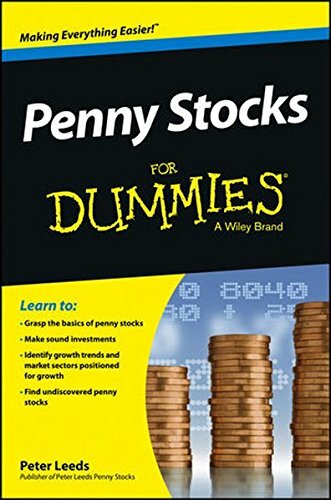 Penny Stocks For Dummies appeals to anyone who doesn't have a lot to invest right now in the current economic climate, but who wants to multiply what they do have.